If there’s one thing I have learned about packing in all my travels, it’s that everything should fit in one bag. With the Osprey Farpoint 40, I’ve found that I’m able to pack everything I need without looking like I’m carrying everything I own on my back. Below are seven reasons it’s the perfect travel bag for me—keep reading to find out if it’s the perfect bag for you. At 5′ 2″ and roughly 115lbs, I’m quite a petite person and it’s just not practical for me to have an enormous pack if I can’t even carry it properly. I’ve owned other backpacks that visually looked like they overpowered me and physically made me feel like I was hunched over as I was walking. When you try on a backpack and look in the mirror, it should not only feel comfortable but should look comfortable for your body size as well. This pack is the first one I’ve owned that felt just right for my body type, so the small size is the number one reason I love this pack. With my Osprey Farpoint 40 in Istanbul, Turkey. I’m 5’2″ and this is the first backpack I’ve owned that didn’t make me feel like a child trying to carry a giant’s backpack. This one fits me just right and I can walk without feeling hunched over! I took a three-week trip to Israel, Palestine and Jordan with this bag packed full of heavy winter clothes and still had room to bring souvenirs home! The compartments make it easy for me to determine how to pack. I use Eagle Creek packing cubes for my clothes in the main compartment, and use the secondary compartment for electronics, books and miscellaneous stuff. Everything I took on a three week winter trip (clothes are in the packing cubes). I mean, look at all the stuff I fit in this bag! 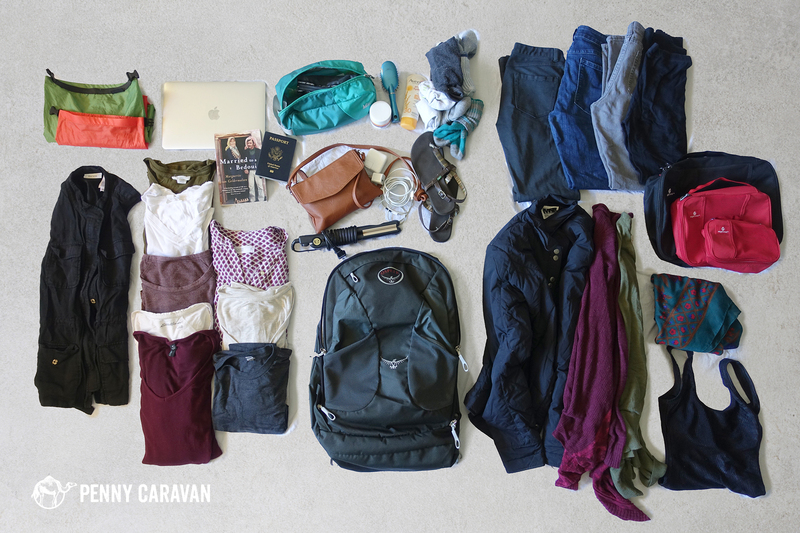 This is everything I took on a three week winter trip to Israel, Palestine and Jordan. Plus, I still had room to bring souvenirs home. It’s the best of both worlds. The suitcase-style opening makes packing and unpacking SO much easier than a top-loading pack. Need something quickly and you can fully-open the main compartment for super easy access. But the suspension is built like a top-loading backpack that makes it super comfortable on your back. Best of both—suitcase and backpack in one. The built-in padded laptop sleeve keeps my Apple Retina Macbook laptop sandwiched right in the middle of all my stuff. Plus, all the zippers on the bag are lockable. Packs that have straps hanging out everywhere are annoying and an eyesore. I really appreciate Osprey’s thoughtful design that keeps their bags looking clean and minimal with little details like zipper covers. As you saw in the photo above, if I need to check it at the airport instead of carrying on, I can zip up the backpack straps easily. Zippers can all be tucked away. 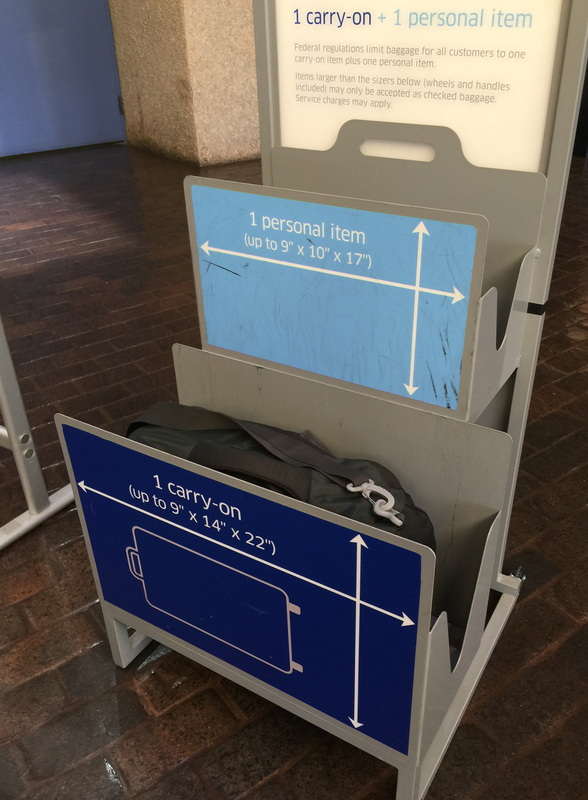 The measurements are: 20″ x 13″ x 9″ so it fits most airlines carry-on standards. Coming home from Palestine I brought back a bottle of olive oil so I had to check my bag then, but again, not a problem as I was able to zip up the straps for easy check-in. My bag in the United Airlines carry-on standard with room to spare. The thick padded hip belt secures it to your body and takes the weight off your shoulders, which makes it very comfortable for walking. 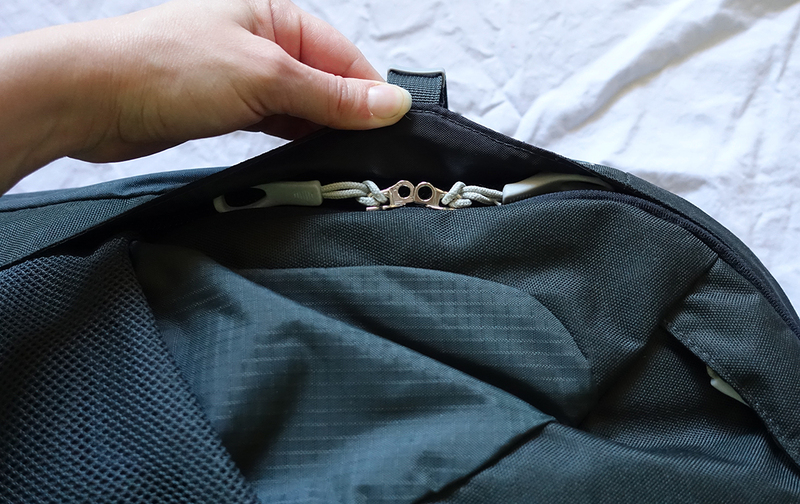 When I do zip up the backpack straps, I still have the padded top and side handles to carry it around without tearing into my hand. There’s also a removable shoulder strap, which came in handy at the airport. Easily converts from hand luggage to backpack. No detachable daypack? I’m the type that travels with a tiny purse as my day bag because nothing screams “I’m a tourist” like carrying a daypack around all day. Plus, I’m nervous about theft with a backpack on my back and I wouldn’t be caught dead wearing it on my front. So I only take a packable day pack if we’re planning on hiking. BUT if you’re a day pack person, you can get the Osprey Farpoint 55 which is a 40L bag with a detachable 15L daypack. Just keep in mind that the main bag is a different design from the Farpoint 40 with just one big compartment. So if you were taking a short trip and didn’t want the daypack, you would only have one big compartment with no laptop sleeve or anything. Plus, the laptop sleeve in that daypack is not padded and the zipper can’t be locked. Not enough room? Okay, so you’re a small girl like myself but you like to pack a lot of stuff and you don’t think this bag has enough room. Here’s my advice for you: learn how to pack lighter. There is nothing worse than struggling with your luggage in a difficult airport. I have even seen girls have someone else carry their bag for them because they can’t even carry it themselves. If you can’t carry your own bag, you’re doing it wrong. Pack lighter—you will love the way you feel. Not enough exterior pockets? I read that some people feel there aren’t enough exterior pockets, but in my mind it’s more secure this way and means you need fewer locks! I will say that the water bottle mesh on the exterior doesn’t have a lot of give, so when my bag was full it was difficult to get a water bottle in there. No wheels? Before this bag, I had the Osprey Sojourn (which has wheels) which I loved, so I was super apprehensive about getting a bag without wheels. However, not having the wheels and handle saves a ton of weight! So carrying my bag through airports with the shoulder or hand strap was no longer an issue since the weight is so much lighter. Not a petite person? This bag comes in two sizes: S/M and M/L! So if you like the size and features of the bag but need a little more shoulder space, the M/L should be a good fit. 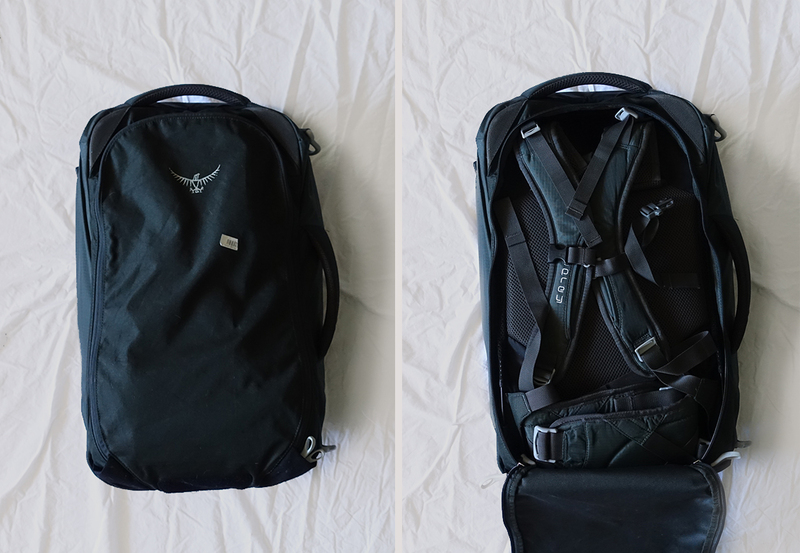 Overall from my personal experience, I’ve found the Osprey Farpoint 40 to be a great travel backpack. Would I recommend it for hiking and camping? Probably not since I’m a big believer in the ONE bag policy and this wouldn’t fit a sleeping bag. Would I take it on a year-long round-the-world trip? That remains yet to be seen because I might not have room for all the souvenirs I would want to bring home. However, for basic traveling, whether a summery weekend or multi-week winter trip, I would highly recommend the Osprey Farpoint 40. Super helpful post! How many packing cubes and what kind are you able to fit? I use these Eagle Creek packing cubes and I have the 3 piece set of small, medium and large. But you could definitely fit 2 larges in this pack if you wanted! Thank you so much for this info. I’ve been searching a long time for this kind of review because I’m a small guy and not able to test fit the bag in a store. Thank you and all the best. Glad it helped! Thanks for reading! Thanks for such a comprehensive post! I’m currently looking at buying it for a 3 month trip around SE Asia, and after looking at it in the store, worried it was going to be too small. But it seems you (and other people) seem to mange quite well! Wow 3 months might be hard! But as long as you’re not packing anything too bulky, it should be doable. If you think you’re going to want a little more room for stuff you might pick up along the way, I might suggest the Farpoint 55. Have a great trip!! Hi Leoni! That sounds like it will be an amazing trip! The Osprey packs are definitely a great recommendation. Whether or not it will work for you depends just on how much stuff you’ll be packing. 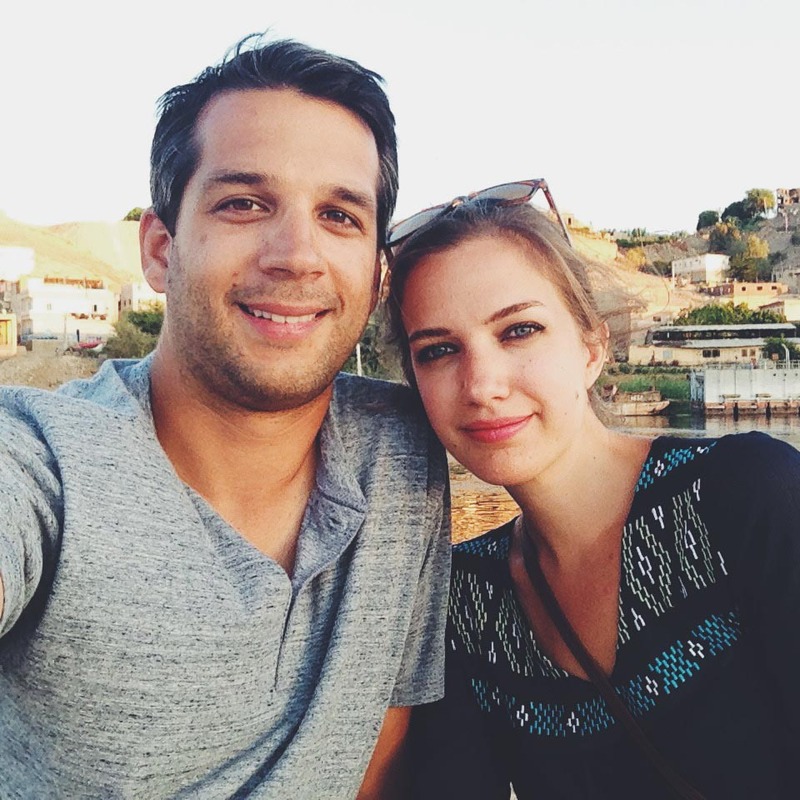 Iylana was able to make it work well for our three week trip to Turkey, Israel, and Jordan, which involved packing a lot of warmer, bulkier clothes. However if you intend on tacking a day pack you may look at the Osprey Farpoint 55L or 70L which includes the detachable daypack. I use the 70L and it has plenty of room for all the clothes I’d need to pack for just about any trip as well as room for the camera gear I carry. The 55 offers you 40L of space in the main pack and an additional 15L in the detachable daypack. Hope that helps! 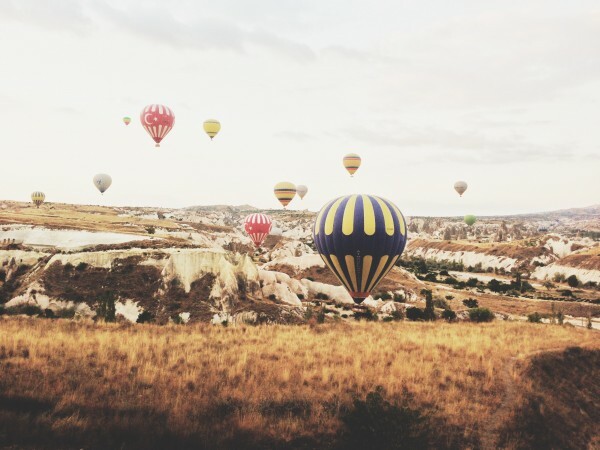 Let us know which one you choose and where we can follow your awesome adventure! I just bought the m/l size today online and am very petite…so I probably need to exchange it for the s/m. The only thing is I have a 17 inch laptop that I have to fit in the laptop compartment. Probably best to see which one it will fit in best by having them side by side to test it out. Any thoughts on this? Both the S/M and M/L say they are made to hold up to 15″ laptops. While it looks like you technically could fit a 17″ in the laptop sleeve, you wouldn’t be able to use the velcro strap to secure it, and you might have a hard time zipping up the flap, depending on how thick your laptop is. Looking at my S/M, I wouldn’t recommend it as it would be such a tight fit, so hopefully the M/L gives you a tiny bit more space. My best recommendation is to go ahead and pack your M/L and try it on to see how it fits when it’s packed full of stuff! If the torso length is just too long and it’s not fitting right, you can always return it for the S/M. Great post – just ordered this bag as I’m trying to reduce my gear and avoid checking luggage in where possible!! I just wanted to check if the shoulder strap comes with the bag or if it needs to be purchased separately? Also how many items of clothing roughly would you say you pack in this? Just trying to get an idea of its capacity. Hi Phil! The shoulder strap comes with the bag. I usually take a large sized Eagle Creek Packing Cube full of clothes, so whatever I can fit in there is what I take. Something I’ve noticed though is that my clothes roll down very tiny compared to Shane’s, so I’m able to fit a lot more in a packing cube than he is. So clothing sizes and bulk makes it very different for everyone. Here is an example of what all I was able to pack in this bag on a 3 week winter trip. Hope it helps! Hey. I am 181cm. Should i go m/l? At that height Osprey would recommend the M/L! Top notch post! Any issues or worries about protecting the MacBook 12″ when you have to check the pack? I’m going to be using the same setup for my next trip. Thanks! I wouldn’t be concerned about it since it’s padded and sandwiched in the middle of the bag. But, I always carry my laptop on with me if I can! So I am someone that is used to 120L Samsonite suitcases… packing them to the brim with all sorts of unnecessary stuff. Carting around hair products, highlighter, heels, handbags… Did I ever wear my hair down? No… Did I ever wear heels, mmmm no. Highlighter for my cheeks – pfft. I only ever used half of the stuff I packed … So there’s me, awkwardly dragging the hard case around town, pretending to breeze through airports on the four wheels – one of the wheels always ends up like a shopping trolleys…. Bung. So after realising I should get a backpack I opted for a Katmanudu 70L backpack with wheels… which was even worse – I may as well have had the tonne of bricks on 4 wheels hardcase. After 7 weeks of hell with the 70L… thank god my boyfriend lost his bag with a turkish airline so he had to haul this one around for me I have now purchased the Osprey Farpoint 40 S/M !!! Purchased this for my 7 week trip to Central America and Europe in a couple of weeks … No more useless packing and not having to check in a bag is going to be a real treat! Can’t wait. Oh how I have changed! Wow what a change! Way to go!! I am 172/174 cm and here in Italy it is hard to find shops which have both the sizes available to try on and most of times they tend to push toward the m/l. So, do you believe the m/l is the right fit for me? As for my wife we are going to buy the female specific model which is called “Fairview” and is going to be sold from this fall on. At that height, you’re in the crossover range. It really comes down to torso length. Is your torso longer or shorter than average? Best bet is to try them on to be sure, but if you can’t find a store that stocks both you could order both from an online retailer and return the one that doesn’t work. I also would like to buy the s/m version for my wife (she is 160 cm tall) and since we would use it as carry on baggage my question is: is the overall capacity 38L or without compressing too much it can also accommodate up to 40 liters? I would avoid too much differences from mine as cargo capacity, should I go for the m/l. Hi, Iylana! I purchased the Farpoint 40 on sale a few months ago, in anticipation of spending a semester abroad this spring. Next week, I’m leaving on a ten day trip to Egypt and thought it would be a great opportunity to “break in” the new bag. However, I typically take a small backpack as my ‘personal item’ when flying. Since I’ll be using the Farpoint as a carry on (and don’t think I want to take another backpack) I was wondering what you typically use to hold items that you’ll need during the flight. I always carry a tiny purse to use as a day bag, so I typically keep that in the seat with me with whatever I’ll need during my flight. Then I stuff the whole purse into my Osprey when it’s time to go! 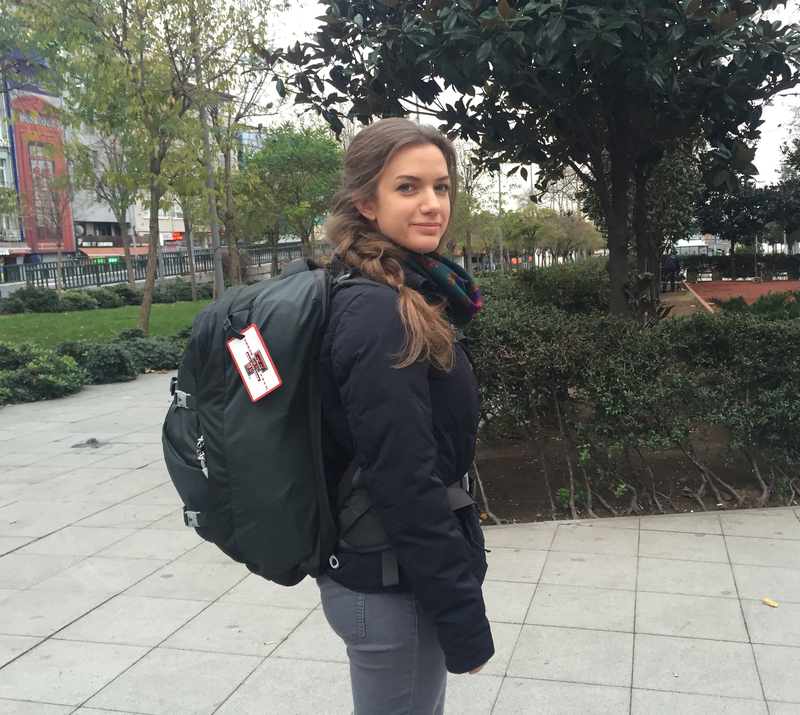 If you need more room, you could also get a compressible backpack like this one http://amzn.to/2uqNHUZ. It doesn’t take up much room in your bag, and as soon as you get on the plane you could pull it out to keep in the seat with you and also use it as a daypack at your destination. You’re gonna love Egypt! Have a good trip! My height is 5’4. should i go m/l? Depends on the size of your torso, but I would think the S/M should be just right! Hi! Love this post – it is so informative! 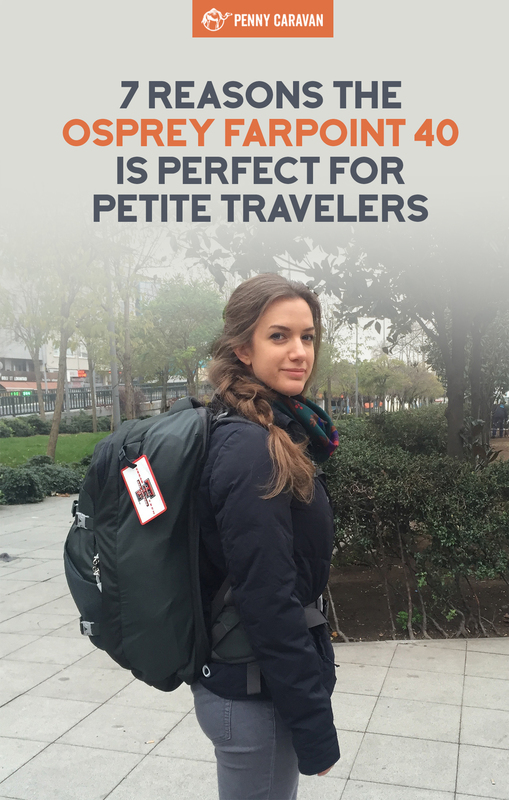 I am a 152cm tall girl going on a 8-month trip around the world and i am having such a tough time finding a suitable bag pack! The Fairview was just released this year, and wasn’t available when I got mine. As I understand it, it’s the same as the Farpoint but designed to fit a female torso better. 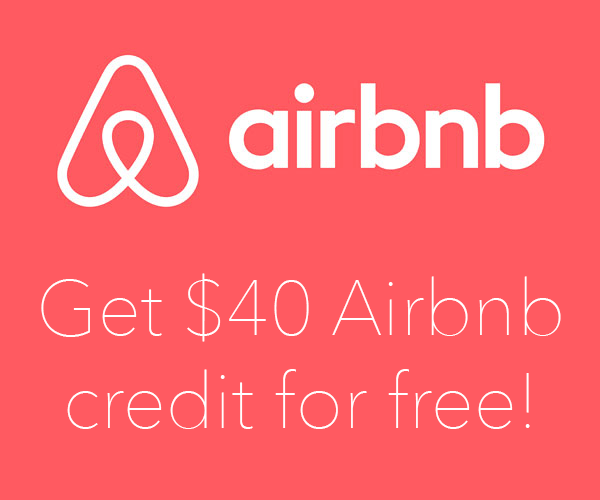 So it’s definitely worth trying out! Hi, I am 170cm. Should i go S/M or M/L ? Hey do you take a day pack aswell as the 40L? I’m torn between doing this and buying the 55L version.